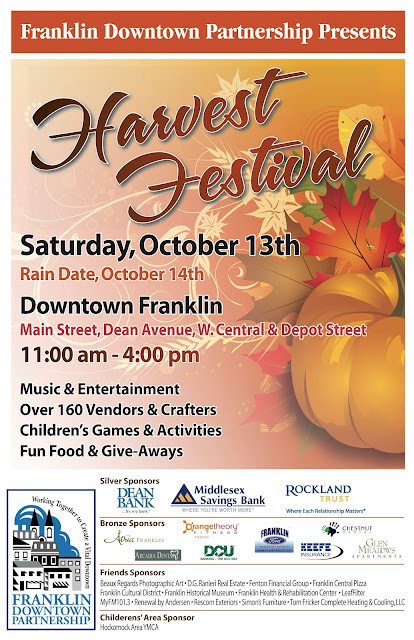 Please register by Thursday, September 20 to receive your Free booth space as an Franklin Downtown Partnership member for the October 13 Harvest Festival. After Thursday, please include a $35 late fee. Important: We can only save you a booth space if we have a registration from you. If we do not receive a registration we will assume you are not participating this year and will give your space to another business. If you have already registered and received an email back from Scott Martin, you are all set. 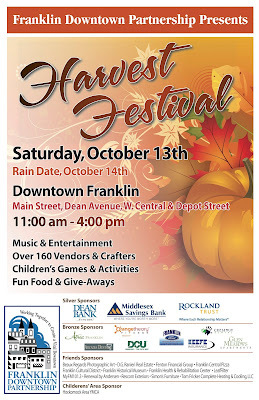 If you have any questions, please contact us at fdpharvestfest@gmail.com.